'We cannot do anything by force against the secular people, so we must try explaining and all tools,' -Rabbi David Yosef in weekly lesson. 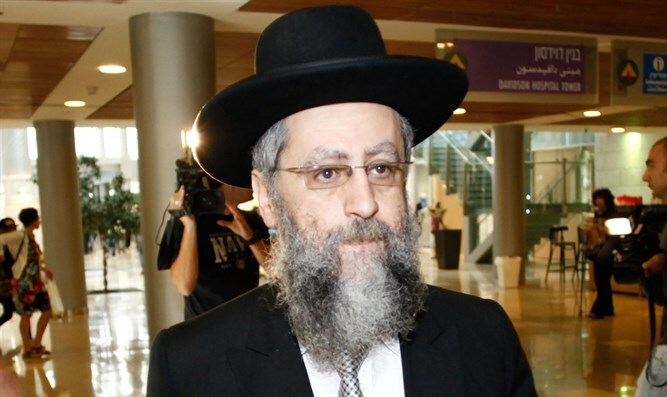 In light of the Sabbath controversy in local authorities, Shas' Torah Sages Council member Rabbi David Yosef made it clear the haredi public should understand the language of power is not recommended in matters of religion and state. "'I have the responsibility that every single Jew should fulfill the mitzvot; I'm responsible'; each of us has to understand this," he said in his weekly shiur as reported in Kikar Shabbat. "The fact is that we're fighting for the Jewish character of this country, and we have to fight against the oppressors of Israel over the apple of our eye, the holy Shabbat. It's not that simple, it just hurts." He explained the difference between the secular population in Israel and that in the US: "In the United States? Let them drive as much as they want; we have no reason to prevent it. A non-Jew who observes Shabbat must die. But you're Jews; we're responsible for you." However, he clarified that haredi force is limited. "Unfortunately, our power is limited. We can't do anything by force against the secular people, so we have to try to explain and use all the tools, at least to prevent public desecration. That's what's meant by Jews being guarantors for one another."